We recently published our first Android game on the play store (com.TGC.maze, serach for this in case you want to give it a try). There was one error we noticed while uploading the apk file to the Playstore and it read like Upload failed. You uploaded an APK that was signed in debug mode. The solution to this is pretty simple, open the MonoDevelop IDE and you would see that your IDE is is Debug mode (Refer the screenshot below). Unity Android - Upload failed. 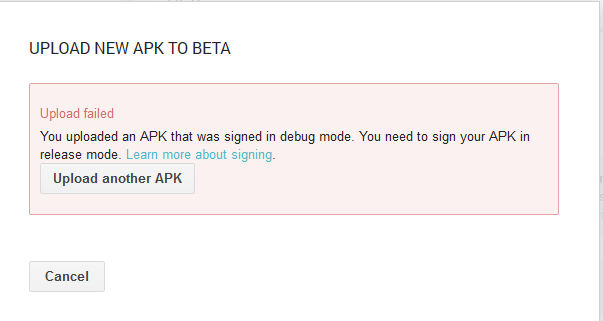 You uploaded an APK that was signed in debug mode. Change it to Release mode. Try building the app again and upload this new apk to the play store, it should upload all fine this time. Best New Year Wishes 2019 for friends and family. Here are best Game Hacker Apps! Thanks so much for sharing awesome info! I am looking forward to see more postsby you! Tutorials seek to take you through the basics of what an android app is to more advanced-level skills in application development using the technology on offer.